Recently The New York Times reported that Google CEO Eric Schmidt confirmed the rumors that the company's tablet will run Android OS. It would be worth noting that unlike Apple's iPhone operating system and Palm's WebOS, Android is an open source. The Silicon Valley tech giant has also been developing another operating system that would be installed on low-powered netbooks and tablets - Chrome OS, which represents a browser-based operating system that Google mentioned in November. It is likely that the two operating systems from Google might confuse some consumers. 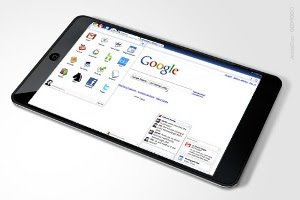 The new tablet that will run Android is expected to be manufactured by HTC, a Taiwanese company that a while ago launched together with Google the Nexus One smartphone and is considered to be Google's most trustworthy Android partner. In the near future we will surely get some more information on Google's new tablet.